"I may have found the best classical guitar pickup for my Ten-String Guitar - 'The Grip' from Myers Pickups." 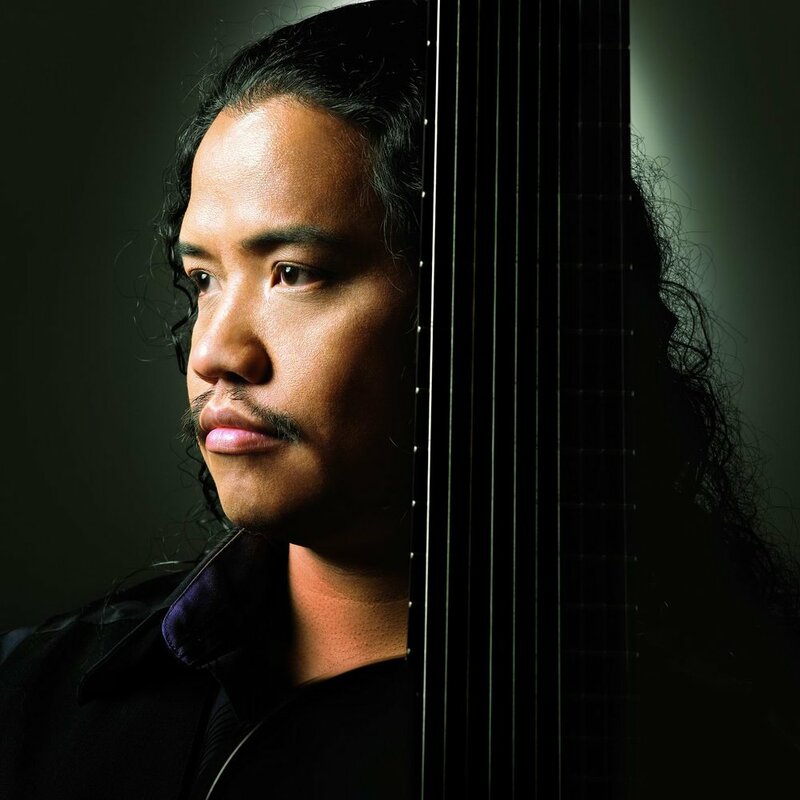 Perfecto De Castro is a multi-awarded Filipino musician, currently focusing on Classical and Flamenco music, played on the ten-string guitar. He is now widely regarded as being the best guitarist in the country, but perhaps best known for having been a celebrated fixture in the Philippine alternative rock scene during the 1990's. During the course of that decade, he was one of the original members of the alternative rock band, Rivermaya, founded the band, Triaxis, and also collaborated with the seminal Filipino rapper, Francis Magalona and Filipino hard rock band, Wolfgang. His most notable awards as a musician include the 1998 Katha Award for Best Rock Instrumental Performance and Composition, and the 1998 NU Rock Award for Guitarist of the Year. He is also widely recognized as a talented album producer and sound engineer, with his work including multi-platinum albums of Wolfgang "Semenelin," Francis M(Freeman and Freeman II) and MarcVelasco(Eponymous). For this he received numerous accolades, including Producer of the Year Award in the 1998 NU 107 Rock Awards and the 2001 Awit Award for Best Rap Recording for a song done in collaboration with Magalona. De Castro started learning classical guitar at 13 but switched to electric guitar after less than a year and spent the next decade learning, playing and teaching electric guitar. He was introduced to the ten-sting classical guitar by Jose Valdez in 1998, and has since then concentrated on that instrument. He uses a unique tuning, adapted from the Valdez tuning. In 2004, Perfecto De Castro relocated to Los Angeles, CA where he continues to record, perform and teach different guitar.